DEAR AMY: How do I stop a bad relationship cycle? My relationships start out great, but then slowly fall apart. These men just stop caring about my feelings. I’m ignored during the holidays, my birthday isn’t mentioned and anniversaries are forgotten. I have let them know these events are important to me, but when these days come around, I have gifts for them but receive nothing in return. It’s not just gifts, it’s other things. For instance, I always go to their place. My last guy only came to my house once and that was because the electricity went out at his place. I told him I wasn’t being “needy” but that a small token to show he actually cared would be nice. I realize I’m not a child, but I still want to be treated well. DEAR NOT NEEDY: You are a jerk magnet. The questions you need to ask yourself are: Why your particular form of magnetism draws jerks toward you, why on earth you settle for this and how you can change it. I suspect these jerks reveal themselves to you in many small ways before they act out so badly that you are forced to let them break up with you. Rather than pout and blame them, you should make a list of everything you typically do when you start a relationship: i.e. call or text him without reciprocation, baby him, give him gifts, tell him how to treat you. Review this list and then — this is the tough part — do every single thing differently. I often hear from men who tell me that women don’t like “nice guys.” You are proving them right. You know what they say, the only person that can allow you be mistreated is you. Pay attention, ladies. 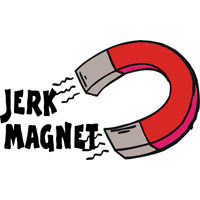 P.S: If you're not sure whether or not you're a jerk magnet, here's a quiz that might help.